Out of thousands suffering from corneal disease and at risk of going blind, Le Van Doanh, 20, was fortunate enough to receive a trans-planted cornea from a donated source. Doanh suffered from a genetic corneal defect and began loosing his eyesight when he was twelve years old. Last year, he passed the university entrance exam, but with his eyes getting worse, Doanh was unable to enroll in university. After waiting desperately for a transplant for over a year, Doanh got lucky. After a successful surgery, he will now be able to live the life of a normal student. And it was only possible because someone had agreed to donate their corneas. The Eye Bank under the National Institute of Ophthalmology, the first and the only eye bank in the country since it was opened in 2005, initially received 335 corneas from ORBIS, an international non-profit organisation. ORBIS, however suspended the donation process last year due to the economic downturn, said the Eye Bank’s Dr Nguyen Huu Hoang. “The main source of corneas is now in-country donation,” said Hoang. But, he added, since the beginning of the year, the bank has received only five cornea donations, providing transplants for ten patients. With about a thousand people are on the hospital’s waiting list to receive transplants, the odds were long for most patients, Hoang said. About 300,000 people go blind nationwide every year due to corneal disease, he said. Another 15,000 new cases are diagnosed each year. The Eye Bank has thereforce collaborate with Red Cross organisations to organise campaigns calling for people’s goodwill. In other countries, such as the US and India, cornea donations have only become popular in the last few decades. 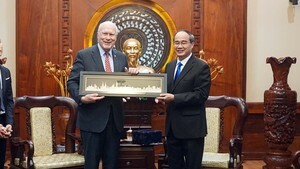 The idea has yet to take root in Vietnam, Hoang said. “We get the corneas from the dead, Even though the law only requires that we obtain the agreement of a person to donate before he or she dies, in practice, without permission from that person’s family, we cannot get the corneas,” he said. Le Duc Long from the northern province of Ninh Binh, whose wife passed away in April of last year, donated her corneas even though his family was against the idea. Long said his children were all crying and tried to keep the doctors from coming in to do the surgery after his wife passed away. There is still a strong belief system, however, that people want to remain complete after they die. Even Doanh’s grandparents, despite the success of their grandson’s transplant, were upset when Doanh’s parents signed up to donate their own corneas when they died and refused to donate their own. The Eye Bank, however, has not given up hope of changing cultural attitudes. 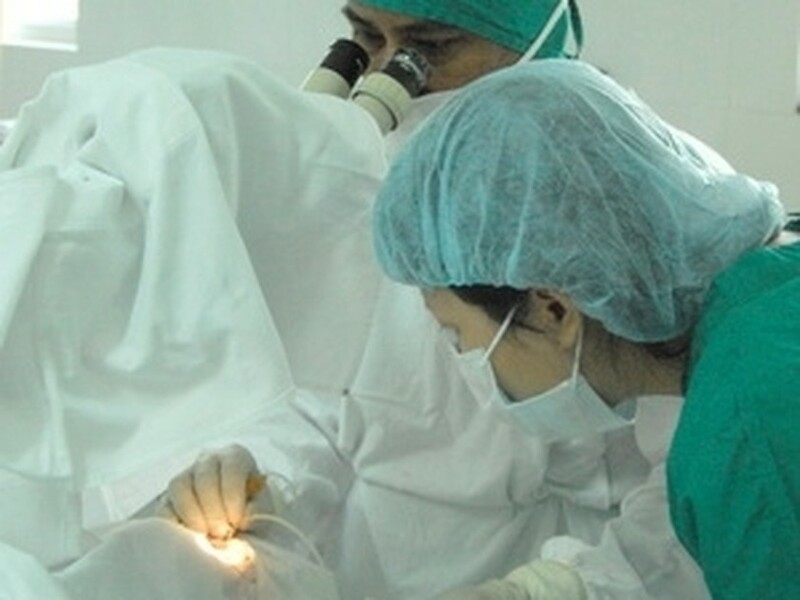 Hoang believed that, with the cooperation of the education and healthcare sectors, people would be increasingly open to cornea or other tissue donation. In addition to working with the Red Cross, the bank expects to collaborate with hospitals around the country to increase awareness among patients and staff. “When a person passes away, they can bring vision back to two people and help reduce the burden on society,” said Hoang. “We hope that more people are aware of that and support our bank."